When 16-year-old Jill Whitaker's mom walks out - with a sticky note as a goodbye - only Jill knows the real reason she's gone. But how can she tell her father? Jill can hardly believe the truth herself. Suddenly, the girl who likes to fix things - cars, relationships, romances, people - is all broken up. It used to be, her best friend, tall, blond, and hot flirt Sean Addison, could make her smile in seconds. But not anymore. They don't even talk. 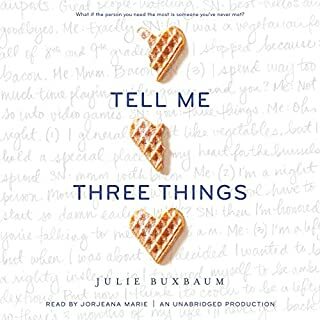 With nothing making sense, Jill tries to pick up the pieces of her life. Ellery wants to die. Nothing is going right. Her younger sister is dead, and her family is in shambles. But on the day that she tries to end it all, even the gun won't work. When she tries to return it, she's intercepted by a security guard who also happens to be a boy in one of her classes, Colter Sawyer. Colter recognizes Ellery's desperation and begins working hard to earn her trust. Why does this cute boy care about my worthless life? Ellery wonders. But as the story unfolds, it becomes clear that Colter has very good reasons for his vigilance - deep personal reasons. And whether Ellery likes it or not, he won't let go. 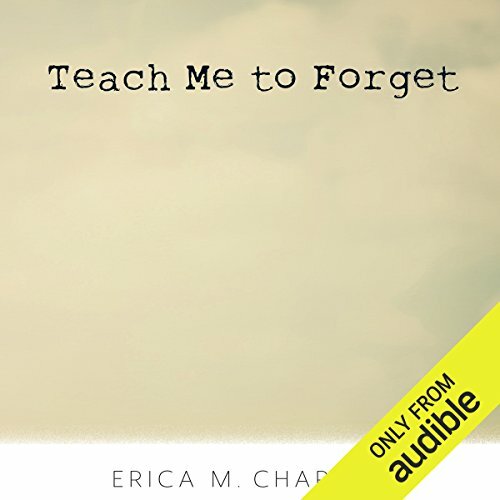 ©2016 Erica M. Chapman (P)2016 Audible, Inc.
"In this stunningly brave and necessary debut, Erica M. Chapman takes us on a journey to the edge and back - exploring grief, depression, and suicide with candor, insight, and above all, hope." 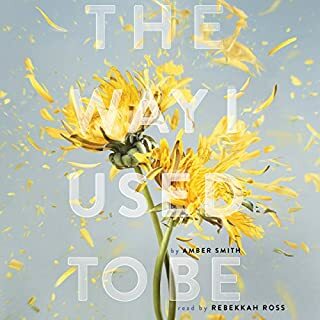 (Amber Smith, New York Times best-selling author of The Way I Used to Be). It's a stark reminder of what it is to be innocent, lost, and naked. Pretty good book. She thinks its her fault her sister is dead. She's suicidal because of it. I think she went thru the normal grieving process as anyone else, but she wanted to end her life because of it. I was going to say a boy loving her isn't going to fix those feelings but then i realized she wasn't depressed before the death of her sister, it was only out of grief so I guess that's possible, the poor girl just needed some therapy and now she's fine. Good book but def would be a trigger for someone suicidal so if you're depressed don't read this book. Overall the story was great and I highly recommend the book however, often times I would get distracted by the narration which could have definitely used some improvement on the book character's voices. I was a little weary about this one because I was worried it would be super depressing, despite other's reviews stating that it wasn't. 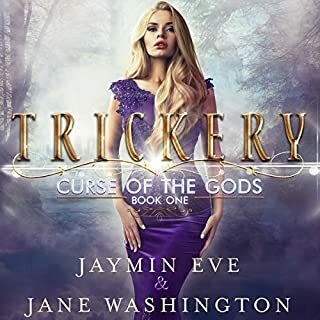 I actually really enjoyed the way the author portrayed the main character's stubborn nature and extreme determination to end her life in order to 'balance' out what she thought she was responsible for. 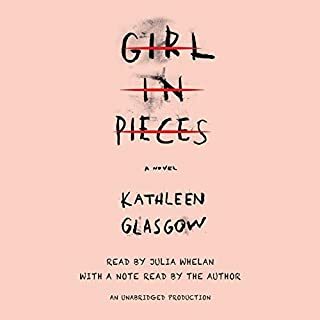 I genuinely believe that there are many people in this world that deal with similar struggles, and this book did a good job of expressing that struggle through Ellery's story. Ellery's sister died at a very young age, but Ellery does not express how or why, only that she feels responsible and wants to end her own life. Throughout the book, she does not come out and say what happened (until the very end of course), but it is made clear that it was enough to make her feel extremely guilty. It was enough to want to end her life. 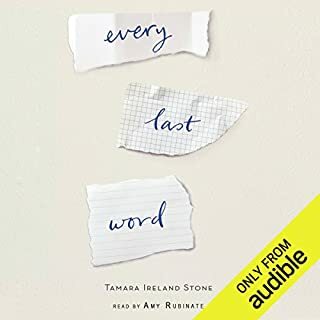 I think this book brings to light just how much goes on in a suicidal person's head that no one else knows about, not even family members or close friends. Many people, including myself, have had a friend or loved one end his or her life when no one was even aware that the desire was there. 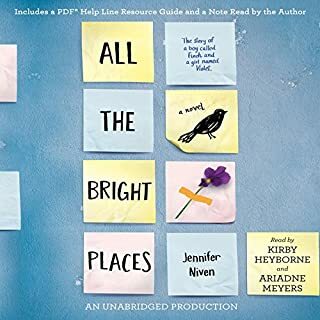 While this book is about suicide, I think it manages to stay away from uber-depressing and actually brings to light a lot of aspects of suicide that most people wouldn't normally feel comfortable talking about. I thoroughly enjoyed Chapman's writing style and would read another one of her books for sure. I really liked her raw, poetic style and thoroughly understood the feelings and emotions she described. The narrator was also very good. I like that she was able to do boys/mens voices without sounding like she was growling into the microphone like some other performers. All around good read/listen. This is so worth the listen. It's an amazing story. Anyone that's ever had loss in their life, guilt, and suicidal thoughts could find hope here. Didn’t really enjoy this story at all, I really wanted to but it was TOO melodramatic and a pretty bad reflection of mental health. I know that all experiences are different but this one just didn’t sit well with me at all. Wouldn’t recommend.